Where to get ifttt invitation ? Who need ifttt invitation, just leave your email in here, I will invite you as fast as possible. 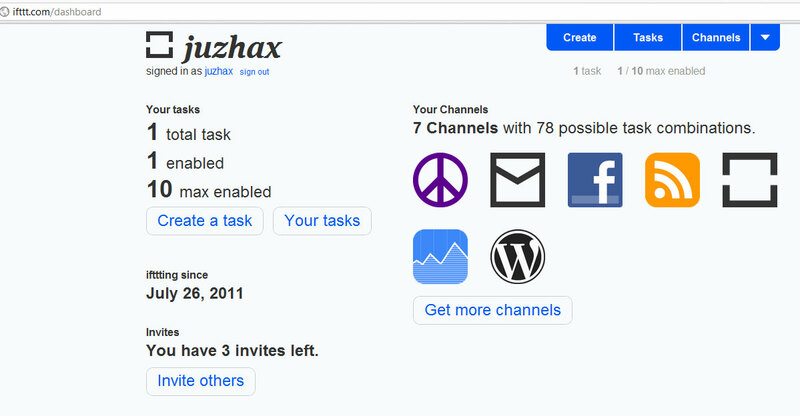 I just get the ifttt today, and I’ve create few task that can link your blog or facebook or twetter or whatever in internet.